October is a great time to help raise awareness and support breast cancer research, but you may not know that it’s also Liver Cancer Awareness Month. Liver cancer is rare in children, but it is possible. Awareness months like Liver Cancer Awareness Month can also be a great time to learn more about the healthy choices you can make in your children’s lives that will impact their future health and cancer risk. There are several different types of liver cancer, but two main types affect children most commonly. Hepatoblastoma is the most common type of childhood liver cancer. This type of cancer typically affects children under the age of 3. Hepatocellular carcinoma is another type of childhood liver cancer. This type is more common among older children and teenagers than younger children. Liver cancer during childhood is very rare, but several diseases and conditions can increase the risk. For hepatoblastoma, these include: Aicardi syndrome, Beckwith-Wiedemann syndrome, familial adenomatous polyposis, glycogen storage disease, Simpson-Golabi-Behmel Syndrome, a very low birth weight, or genetic changes such as Trisomy 18. Conditions that can increase the risk for hepatocellular carcinoma include: Alagille syndrome, glycogen storage disease, having a hepatitis B infection passed from mother to child at birth, progressive familiar intrahepatic disease, or tyrosinemia. 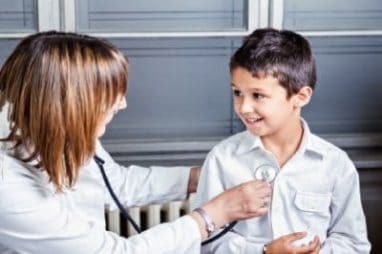 Talking to your child’s doctor can help you understand these risk factors if your child has any of them. A lump in the abdomen that may be causing pain. Weight loss with no reason. If any of these symptoms are present, it’s important to visit the doctor to have them checked and potentially tested further. Cancer awareness months are a great time to give back to others who may be dealing with serious medical conditions. Your car donation to Wheels For Wishes Connecticut can help children with liver cancer and other medical conditions receive the treatment and care they need. In Connecticut, our car donation program benefits Yale/New Haven Children’s Hospital and other Connecticut members of the Children’s Hospital Association. A car donation is a great way to support area hospitals and all the work that they do for children! When you donate your car, you’ll receive some great benefits as well. Wheels For Wishes provides free vehicle pick up or towing, as well as a great tax deduction. We’ll even handle all of the paperwork for you. To donate your car and get started, please call us at 1-877-431-9474 or complete an online car donation form.